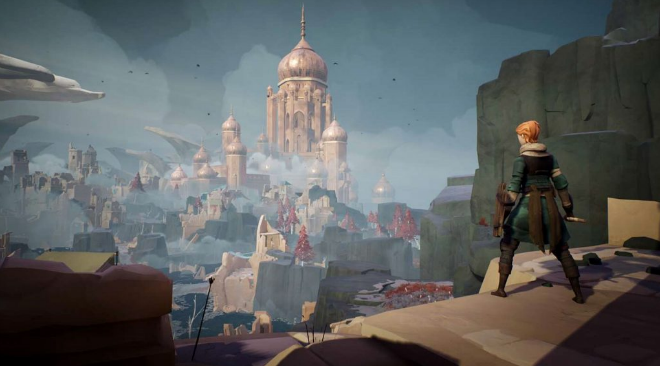 Developed by New Zealand studio A44 and published by Annapurna Interactive, Ashen is an open world, action role-playing game in the genre style that Dark Souls so famously popularized. Set in a world without sun, Ashen is both something new and something borrowed, as it blends elements of great games from the past while carving out its own unique spot in the genre by offering a few fresh ideas. Unique Setting – The particular aspect that Ashen excels at the most is by-far the locations you visit throughout the game. Though difficult to talk about in specifics since the game throws curve-balls at the player quite often by switching up the scenery, and part of that enjoyment comes from the sheer unexpectedness of accidentally stumbling upon an entirely different environmental aesthetic. It keeps the adventure feeling fresh, and constantly offers up new challenges, as well as new enemy designs. One moment you’ll be exploring dark, damp labyrinth-like dungeons, the next traversing through a lushly-lit landscape of ruined castles. The subversion of expectations is Ashen’s greatest strength. 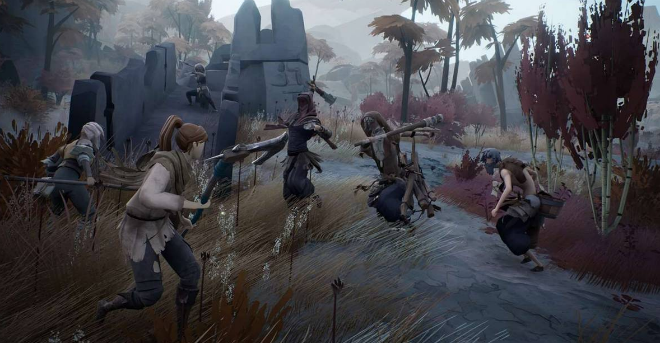 Sense of Progression – The core foundation of Ashen is the relationships that you forge with the many NPC’s that you’ll come across along your adventure. Your base, Vagrant’s Rest, begins as a desolate pasture atop a hill, overrun with bandits. You’ll slowly begin to build it as the only bastion of light in the bleak and sunless land. As you venture out on quests, you’ll meet several other people, and upon doing various favors for them, they’ll join you back at your base. Once they’ve been recruited, you’ll be able to accept additional quests from them and in-turn they’ll offer you services such as weapon upgrading, crafting, talismans that add buffs to your gear and several other benefits. All are optional, aside from the main quest strand, but going out of your way to save as many people as you can will help your journey tremendously in the long-run. On top of this, you’ll also get a nifty visual representation of your progress – as your group and base grow, your once desolate haven will begin to transform before your eyes. Buildings will be constructed, and areas will be added – Vagrant’s Rest will look entirely different at hour 20 than hour one. All of this gives a sense that what you’re doing is actually important, rather than just seeing your stats go up, you’ll feel a sense of growth in the world. The Co-Op – Ashen doesn’t have to be a solo journey, in fact, it feels like it was meant to be played with another person. Using a similar matchmaking system to “Journey,” players are allowed (if you choose) to drop in and out of your game. They’ll take the place of your accompanied NPC, and your only means of communication are pressing up on the directional pad to call them over to you or point in a specific direction. While communication is bare if you’re playing with a total stranger, it invokes a sense of camaraderie as some dungeons require you to work together if you plan to make it out alive. Certain doors require two people to open; a few dungeons are so poorly lit that you’ll need your partner to carry a lantern while you do the attacking, or vice versa – either way, you’ll need to cooperate. It’s thrilling and adds an entire layer to the adventure, as well as an extra challenge since enemies will have more HP and deal extra damage when you’ve got a friend helping. You’re also allowed to ignore the other player entirely and go your separate ways if you choose – you’re not chained at the hip, which helps make the open-world nature of the game feel even more alive. 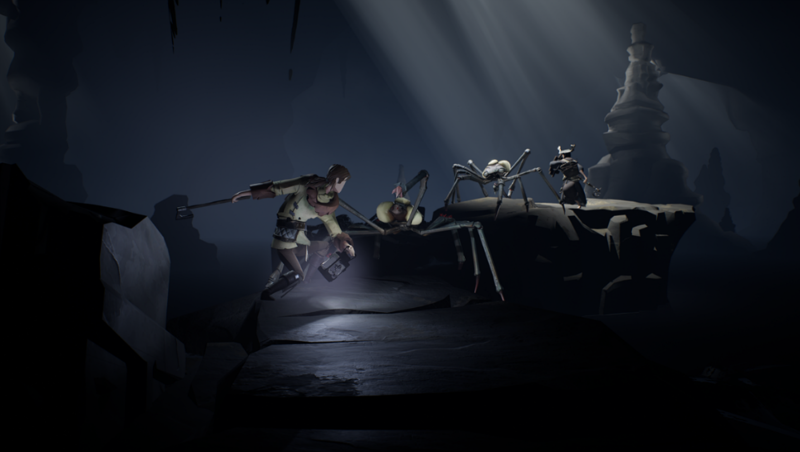 Art Style – Ashen decides to go with a muted cel-shaded graphical presentation, and it meshes beautifully with the macabre nature of the game. Characters lack any distinctive facial features, which leads to the game feeling like a hazy fever dream where everything has a sense of foreboding eeriness to it. It’s beautiful while remaining minimalist. Typically games with this art style are lumped together into one uniform look, but with the mostly dull color palette and textures used in Ashen, it gives off an ethereal quality while still feeling grounded. There’s great artistic design being showcased here – Ashen’s aesthetic helps it remain memorable. Exploration – Typical for the Souls genre, Ashen follows a fairly linear pathway for the player to venture through and explore, but where Ashen strays from the path a bit is the exploration side of things. Ashen is more open-world than Dark Souls, Bloodborne, or other games that try to copy the particular style. The questing system is entirely different and allows for you to choose which objectives you wish to follow. You can forgo the main objective for a while, and just do side-quest after side-quest. Naturally, the game locks you into a certain area so that you don’t wander too far ahead of the main story, but it’s very generous and doesn’t hold your hand. The areas are large and full of items/secrets to hunt and hidden paths to take – even the starting area is spacious and will take a few hours or more to leave if you’re following the natural progression of events. In keeping with, Ashen’s theme of borrowing aspects from other great titles to meld them all together, the openness of the world feels akin to The Legend of Zelda. While you’re often just traveling from Point A to Point B to collect something for an NPC, there are sights to see and secrets to find along the way. The open exploration works well and helps give a sense that you’re actually scrounging around to survive in this land while keeping it as organic as possible. Speedy Combat – You’ll have a variety of weapons at your disposal, ranging from long-axes to maces and spears. The difficulty curve is gradual, but before long you’ll be wailing on enemies with your weapon and discover that you’re barely doing any damage, so it’s important to keep your weapon of choice upgraded and sharp at the crafting bench back at your base. Enemies are varied, but the lot of them are incredibly agile and smart – big and lumbering brutes swing slow, but they’ll take most of your health with one hit. The smaller enemies are difficult to get a bead on and may successfully dodge most of your attacks if you aren’t careful. Ashen isn’t a game that you can just autopilot; there are ambushes placed throughout the areas and even traps that enemies have laid for you. The combat is quick and snappy regardless of your chosen weapon, so it forces you to stay on your feet and pay attention. Well-crafted Presentation – Ashen is masterful at slowly unveiling its grim and bleak world. You’re forced to wander around for hours upon hours before unlocking the ability to even fast travel – a smart design decision given that it allows you to really soak in how the exploration works and learn how areas are interconnected. The pacing here allows for the player to acquire gear organically and experience the game at a speed that feels natural. Each area has its own distinctive look; some with passive creatures that you can hunt for supplies if you feel the need, and others with extremely deadly beasts that are best left alone until you’re stronger. 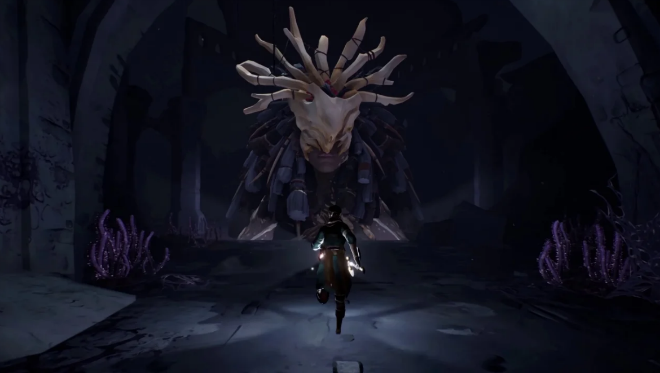 Ashen feels methodical in all aspects with its presentation; nothing comes as an after-thought. Performance Issues – For clarification, I was playing Ashen on a regular Xbox One. That being said, there were slight issues with performance during my playtime. Stuttering frame-rate when a lot of enemies are on screen mainly, but the occasional console lock, forcing me to completely restart the game. The main occurrences of the freezing usually triggered when I was at my base crafting tools to use. 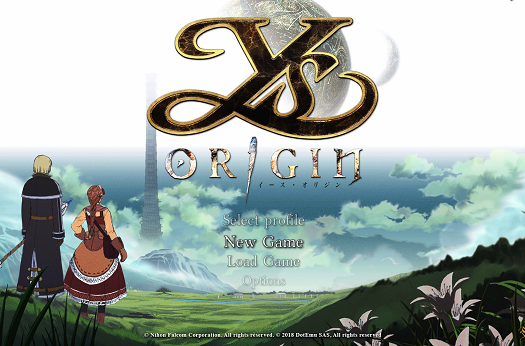 Overall, it doesn’t detract from the experience aside from being a minor annoyance. 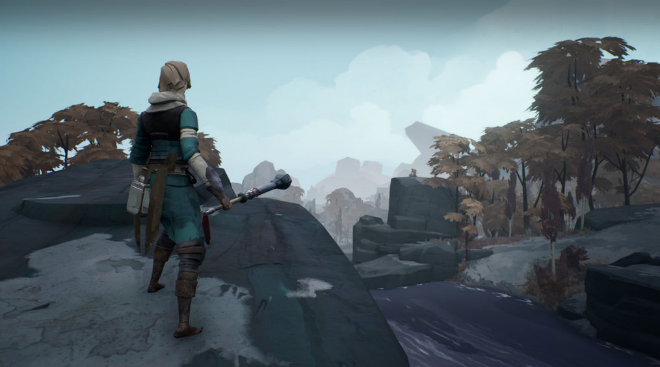 Ashen was developed by A44 and published Annapurna Interactive. It was released on December 7th, 2018, for $39.99. A copy was provided for review purposes.